Ski jumping was developed in Norway and has been around since the early 19th century. In this event, skiers go down a take-off ramp, jump, and attempt to impress judges, who give points for style. The Nordic combined, also developed in Norway, is a combination of cross country skiing and ski jumping. While it is mostly a winter sport, ski jumping is commonly practiced during the summer in order to optimize training time. These ski hills are constructed using the same dimensions, but instead of snow they are made with a synthetic surface, usually plastic or porcelain, covered by a small stream of water to decrease friction. Unfortunately, Kansas City is not one of the dozens of locations in the U.S. where you can find a ski jump hill. But, as of this summer, Kansas City will become home to the world’s tallest water slide. 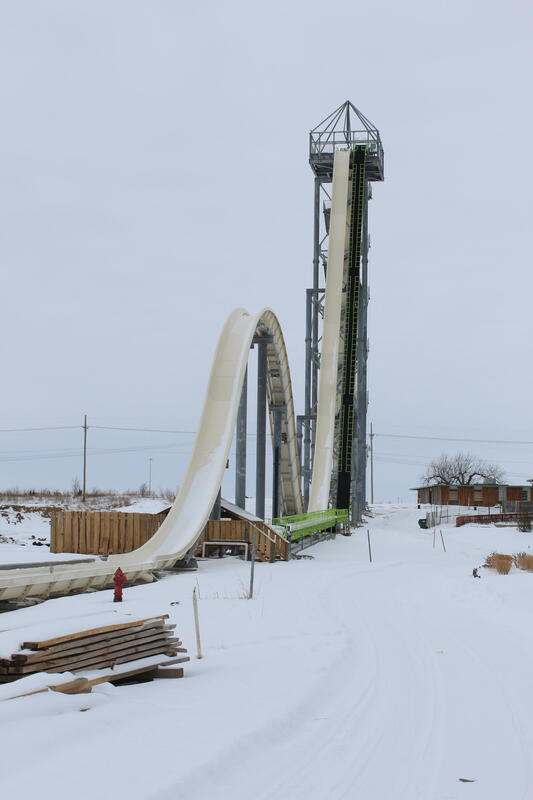 Schlitterbahn Water Park’s newest attraction, Verrückt, not only resembles a ski jumping hill (specifically those used in summer training) but it's about 17 stories tall, just 10 stories shy of the Olympic normal ski jumping hill. And while you won’t be launched weightlessly through the air after riding the Verrückt (you are in fact riding in a raft with three other passengers), Schlitterbahn engineers estimate that riders will achieve around 65 mph, while ski jumpers on average achieve 45 to 60 mph. Where to go: Steamboat Springs, Co., has the nearest ski jumping hill located in the Howelsen Hill Ski Area at 845 Howelsen Pkwy, Steamboat Springs, Co. Cost: Ski jumping can get pricey for the professionals but for someone just looking to start out it’s fairly reasonable. You’ll have to join a club or ski team to receive training, which can cost around $600 to $1,500 for the season depending on the intensity of the training. You can rent jumping skis and cross country skis for about $200 annually and buy a used ski suit for around $50. What to wear: As a beginner ski jumper, you can wear your regular ski wear and use your downhill skis, boots, and helmet. But as you progress you’ll want to invest in jumping skis and boots and specialized goggles helmet and suit. Jumping skis are manufactured especially for use on ski jumping hills. 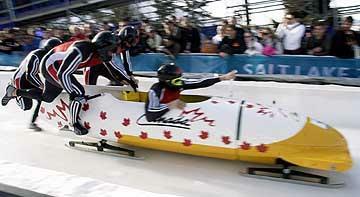 Skis with a length of a maximum 146% of the total body height of the competitor may be used. Because the Nordic combined is a pairing of ski jumping and cross country skiing, it requires two sets of equipment. One set of bindings, boots, a suit, poles and skies specific for ski jumping and another set of skis and poles are needed for cross country skiing. Skills/preparation needed: It’s best to be an intermediate or advanced level skier. 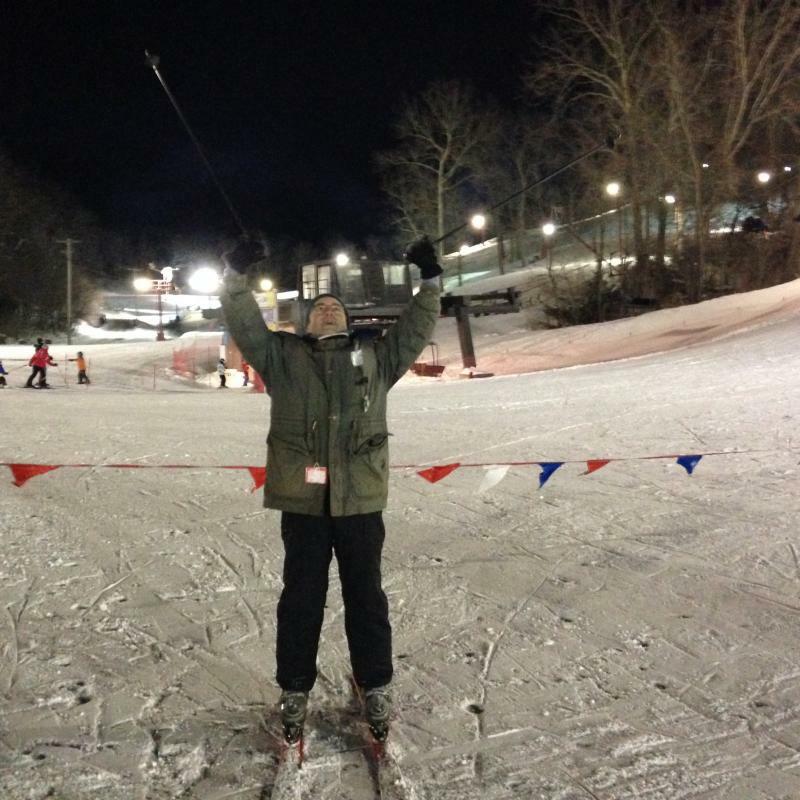 Joining a ski club with access to a ski hill will offer you the necessary training for both aspects of the sport. Also hitting the gym for strength and flexibility training will help you to improve your jumps and avoid injury. Who can help: The U.S. Ski and Snowboard Association (USSA) is the national governing body of Olympic skiing and snowboarding. Their site includes information on coaches, events and clubs. USA Ski Jumping is a non-profit organization that has plenty of information on ski jumping clubs and advice for professionals and beginners.